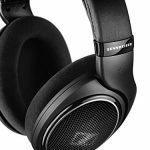 When it comes to headphones, getting a great pair of Bluetooth headphones to use every day is not as easy as it looks; it can be quite tricky. So when in need of a new pair, you need to get one of good quality features like the Avantree Audition Pro from Avantree. 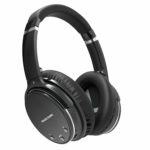 These amazing Bluetooth headphones, the Avantree Audition Pro Bluetooth Headphones, offer low audio latency and sound and are foldable with a clean dual-tone finish. These headphones are super-light. At first sight, The Audition Pro headphones are durable and made of good quality materials. The headphones’ controls are easy to find, easy to use and respond fast making them one of the best controllable Bluetooth headphones ever. 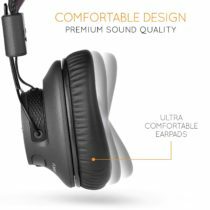 The Avantree Audition Pro Bluetooth Headphones are made out of very lightweight materials which do not weigh down your head. Also, storing the headphones is easy to do because they are foldable and come with a solid carry case for travelling. The Avantree Audition Pro Bluetooth Headphones features aptX Low Latency Codec, minimizing lag and ‘lip-sync’ delay which makes it ideal for watching movies or playing games. You can know the status of your headphones at all times with the convenient voice-prompt feature. They have the built-in bass boost to adjust audio for your gaming, music, movie or TV choice. They have an easy one-touch pairing with NFC (Near Field Communication). The Headphones have ultra-soft protein leather ear-pads and adjustable headband for great comfort. They also have a dedicated 3.5 mm line input, for use with wired audio sources. Rechargeable lithium battery capacity of 550mAh, up to 40 hours music time and 20 days standby time. The Avantree Audition Pro Bluetooth Headphones comes with many amazing features and benefits. They come with a carrying case, which has good build quality (quite fancy) and are foldable, making them easy to carry around. I also love the clean look and dual-tone finish and the headphones feel really light! Another incredible thing about the Avantree Audition Pro is the fact that I can use the NFC pairing or Bluetooth to pair with my phone. The headphone as soon as it gets switched on can be detected by my phone which is pretty cool. The sound quality is wonderful and the earpieces comfortable. They also come with a micro-USB charging cable and a male-to-male 3.5mm cable for times when it is preferred as a wired headphone. 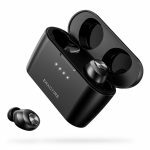 These top-rated wireless Bluetooth headphones work with a low-latency supported Bluetooth transmitter for minimum audio delay 32-40ms for an advanced audio experience. Experience superb music and voice clarity. 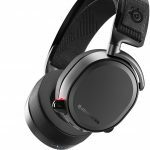 It has built-in bass-boost and lets you tailor audio to your wireless Bluetooth headphones for Xbox, PlayStation PC gaming, music or TV with rich lows and clear treble. 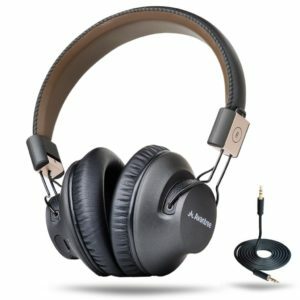 They are the perfect headset for audio lovers. Whether you are watching TV, gaming or using your phone this best in-class over-ear wireless Bluetooth headset can be used as wired headphones without battery consumption using the 3.5mm cable included free. Switch between wired to wireless earphones in seconds. It can connect with two phones at the same time and never miss a call. NFC for one-tap connects. Intelligent voice prompts for status indication. Can auto-relink with your Bluetooth headset to any device, easily and instantly. Buy one for yourself and an extra set for a TV, music lover or gamer you know today. 24-month warranty for normal use. The Avantree Audition Pro Bluetooth headphones worth the price. The headphone’s battery lasts for more than 4 days on average base on how it is used. It doesn’t take much time to charge as well. It is easy to carry around and its flexible feature makes it better than most other headphones. To adjust the headphones is easy to do and they give a wide range for a comfortable fit. With smaller ears, they fit perfectly but if you have larger ears, you might not be able to adjust these headphones to fit rightly which might cause some sound to leak. Another downside is that if you want to hear all that a song has to offer, its best you listen to it at over 50 percent volume anything below this percent won’t give you all the sounds in the music. 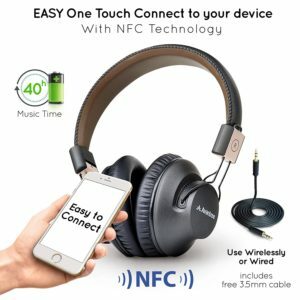 From many research on the best Bluetooth headphones that would last a long time with battery life and have good sound plus be very comfortable for a fair price. The Avantree Audition Pro Bluetooth Headphones in contrast with other similar headphones stand out as the best. 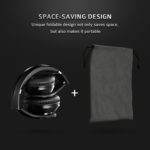 The headphones’ packaging looks very professional and unlike other headphones is very easy to switch from device to device. The sound quality is amazing on these headphones. In conclusion, the Avantree Audition Pro Bluetooth Headphones are pretty impressive because of the craftsmanship and quality.